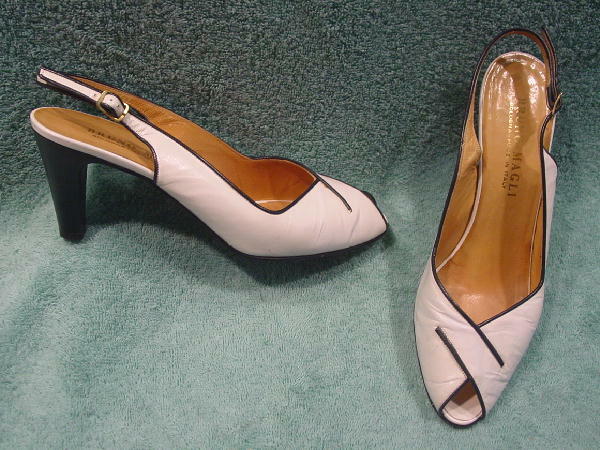 These vintage white and dark blue leather peak toe slingbacks are by Bruno Magli and were made in Italy. 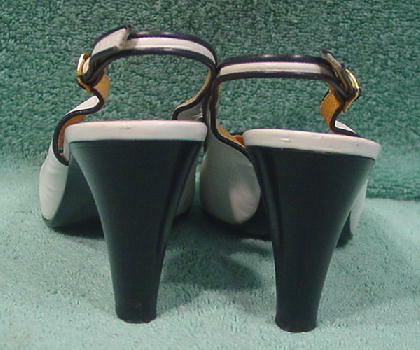 There are very dark blue wood stacked heels, white leather toe beds, and camel color leather insoles and linings. 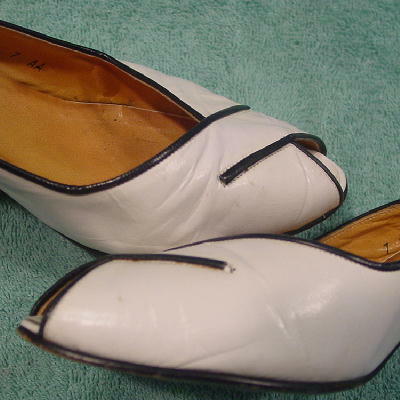 The leather has wrinkles and the right shoe inner front side has a darkish spot, and the left shoe inner front has four darkish spots. Both heels have line scratch marks near their bottoms. They're from a former actress.